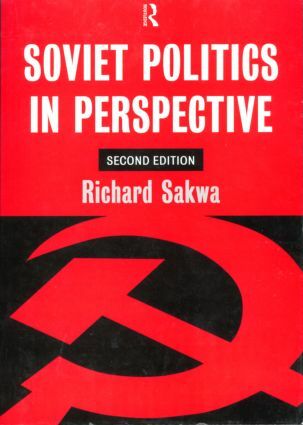 Soviet Politics in Perspective is a new edition of Richard Sakwas successful textbook Soviet Politics: an introduction. Thoroughly revised and updated it builds on the previous editions comprehensive and accessible exploration of the Soviet system, from its rise in 1919 to its collapse in 1991. * an evaluation of Soviet rule, and reasons for its collapse. Providing key texts and bibliographies, this book offers the complete history and politics of the Soviet period in a single volume. It will be indispensable to students of Soviet and post-Soviet politics as well as the interested general reader.